It needn't be Christmas and it certainly ain't Valentines, but who says you need holidays to enjoy some holiday cheer? Last weekend as my baby snoozed a little longer than usual, I had a solid hour to myself and didn't quite know what to do with myself, but a certain saying goes like this "Be careful what you wish for, it may just come true" well in my case it was an answer to my question rather than a wish being fulfilled. Okay, so here I was wondering what to do with myself and got a phone call for the other half, telling me that we would be having over a few guests the following evening. Great! I told him, asked him the time etc and hung up. Now if you know me well, you do know that no one who enters my home ever has store bought dessert. I love love love making it myself and find it to be extremely therapeutic. So off I went to my trusty ole pantry, made a mental note of the stuff on hand, and decided to use it in this timeless recipe. 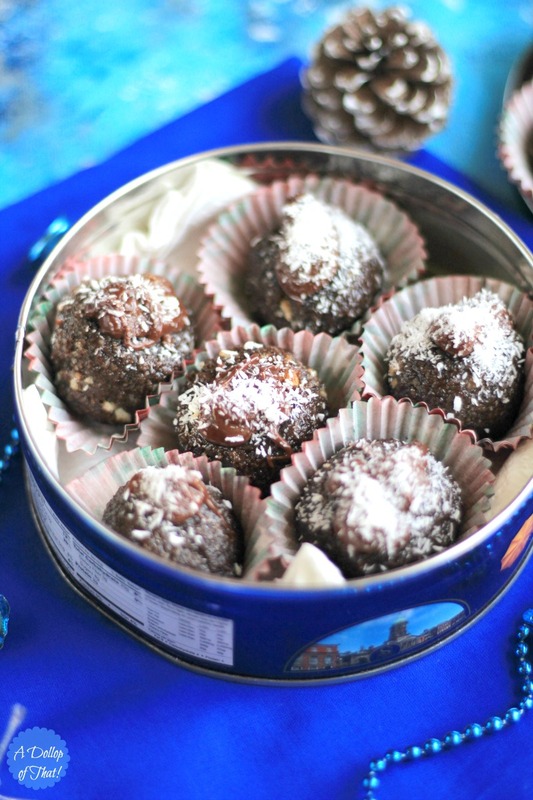 Not only are Rum Balls easy to make, but they taste a zillion times better than the ease that goes into making them but the best part about them is they can be easily customized with whatever ingredients you have on hand. This recipe was never intended to be made or posted here, but some things just make a place of their own I guess. I'm posting this recipe on my husband insistence, he feels a dessert as delectable as this one most definitely needs to be shared. 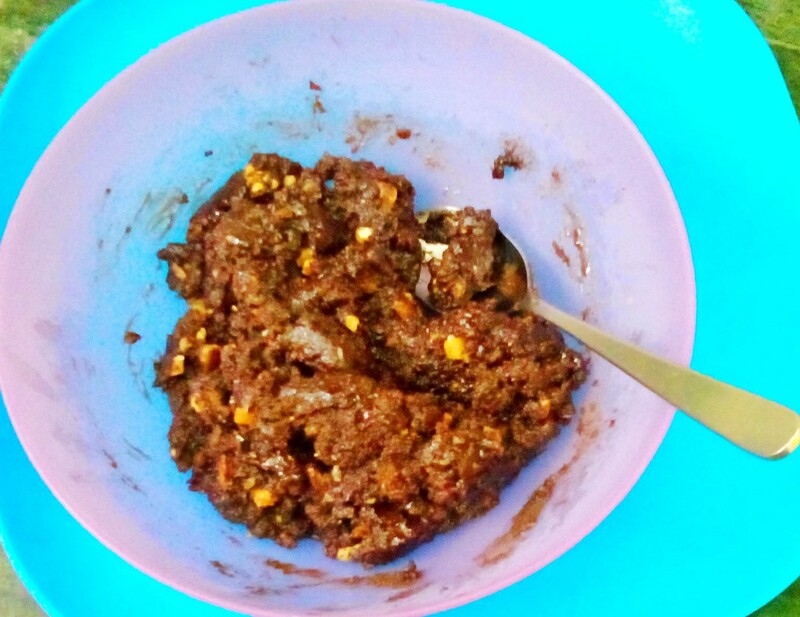 - Add in the ground biscuits into the melted chocolate and mix well. - Mix well till all the ingredients receive a proper coating of rum and corn syrup. - Take a palm sized lump of the mixture and roll into balls. 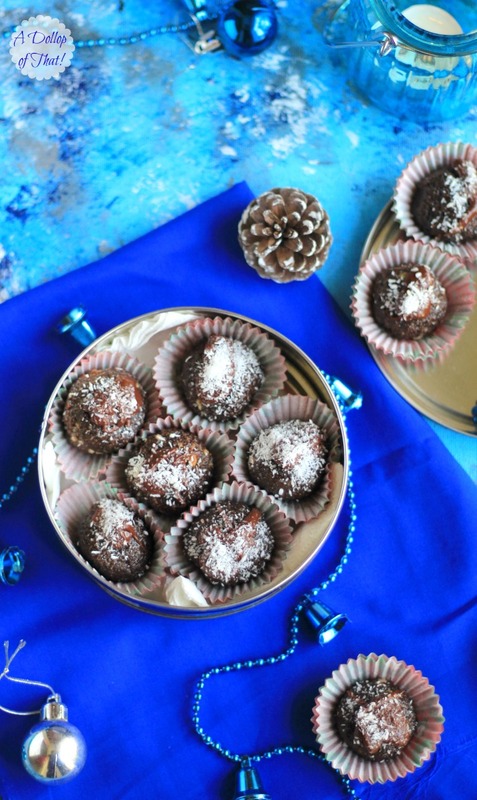 - Sprinkle desiccated coconut/ powdered sugar or cocoa powder in a dish and roll the balls in it. - Place the coated balls in a pre-lined box with a lid. The longer you refrigerate these babies the boozier they become. These stay well in the refrigerator for upto a week. 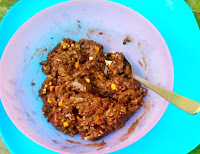 I do hope that you will give this recipe a try, do write to me in the comments section below if you have any suggestions or queries. I would love to hear from you. 2. 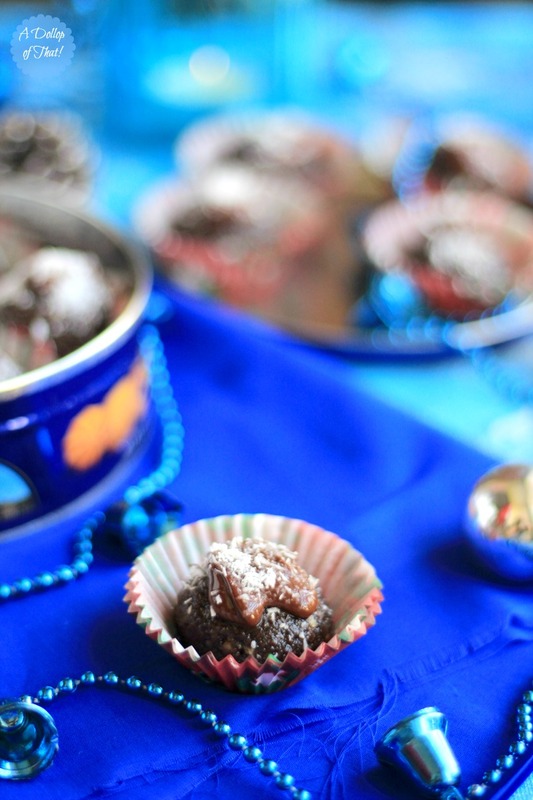 If you do not have cooking chocolate on hand, use 1 tbsp cocoa powder and 60 ml condensed milk, this will however give you a softer bind, and the balls may not stand upright. This can be eliminated by the addition of a binding agent like corn syrup, liquid glucose or sugar syrup of 1 thread consistency. 3. In case you do not use alcohol, use half a tsp of rum essence. Labels: Chocolate, Desserts, Party Perfect! Will make it n send the pics to you Pari! Looks yum! These look so yum yum. Surely going to make these for Christmas this year. Super awesome blog. Keep it up. You are doing a good work. Plz do make these and do write to me how they turned out.